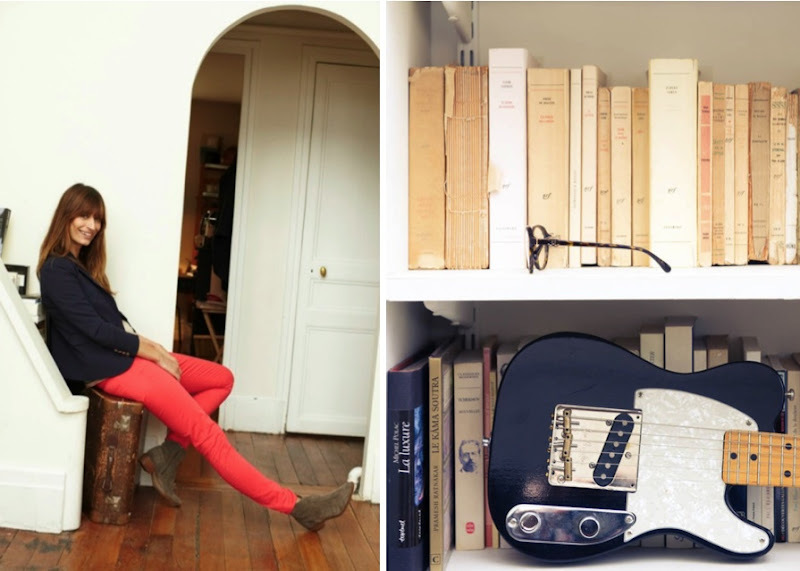 Photos of Parisian model-turned-record label owner Caroline de Maigret via Madewell by The Selby and The Coveteur via The Thinking Tank. I saw the Selby photos of Caroline de Maigret in the latest Madewell catalog a week ago or so and had an instant reaction to this woman. Her style. Her stuff. Her life. She sure makes the case for red jeans as a mainstay. #1 babe, I wish everyday I looked like her! I wish I could work a blazer like that! They never seem to look right on me. But I adore those boots.